Worcestershire commercial property consultancy GJS Dillon has acquired more than 4,000 sq ft of office accommodation in Bromsgrove for an international consumer electronics company, saving nearly £40,000 in rent. Advised by John Dillon, managing director of GJS Dillon, which has offices in Droitwich, Worcester and Bromsgrove, Smartwares Safety and Lighting Limited (part of the Smartwares Group) has taken a new five year lease on the first floor of 1 The Courtyard, Buntsford Gate, Bromsgrove, B60 3DJ, a 4,310 sq ft office suite, at a quoting rent of £14 psf. Smartwares Group is a leading player in smart Safety, Lighting & Home Appliances. With over 400 employees worldwide, it is headquartered in the Netherlands. In addition to the UK it has offices in Belgium, Germany, France, Spain, Portugal, Italy, Sweden, Lebanon, Turkey, Hong Kong and China. 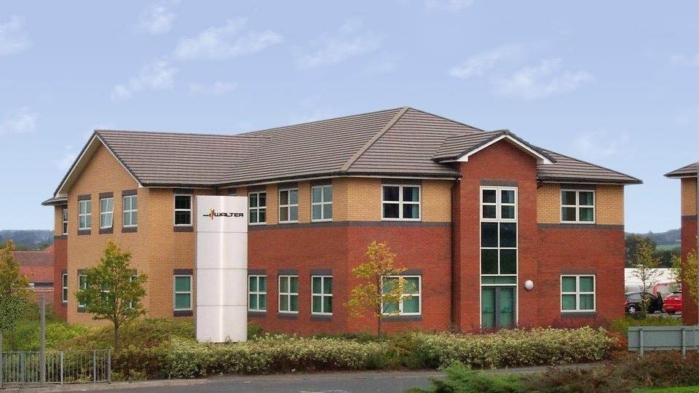 As a result of sustained sales growth, the UK office is relocating from a 16,000 sq ft combined warehouse and office premises (that GJS Dillon sold last year on a sale and lease back in Sherwood Road, Bromsgrove) to pure office accommodation at 1 The Courtyard, Buntsford Gate. Craig Mander, Director of UK Operations at Smartwares first contacted GJS Dillon 18 months ago to sell their existing warehouse and office premises and to then use the firm’s business relocation service to find and acquire new office premises that would allow for Smartwares’ planned growth, with the warehouse function being outsourced to an international logistics provider. Mr Dillon says: “We worked closely with Smartwares to identify its present and future business needs, space and location requirements, and budgetary constraints. We then carried out a comprehensive search on and off the market for suitable property to present to our client. Once Smartwares chose its preferred option, we negotiated the deal to acquire the property, saving £40,000 in rent over the five year period of the lease. “With the current high demand and lack of available stock of office and industrial space in Worcestershire, it is essential to use a local, experienced Chartered Surveyor not only to find the right property, but to be certain that you have achieved the best deal you can,” says Mr Dillon. “A business may only move a few times in its history, so its directors are not best suited to work out detailed property requirements, nor to search and negotiate for new premises on and off the market. In the same way, they are not best suited to negotiate with landlords or to sell a building. “With around one third of Worcestershire businesses planning to move in the next two years, as part of their plans for growth, we expect many more companies to make use of our relocation service in the near future,” continues Mr Dillon.